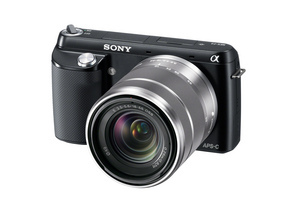 – DSLR-Size Sensor and Advanced Feature Set into Small, Stylish Body ! which uses pattern matching to maintain superb image detail, tones and textures in the photo. Both the original and cropped image files are saved for review. The new NEX-F3 compact digital camera will be available this June in silver, black and white with an 18-55mm kit zoom lens (model SEL1855) for about USD$600. 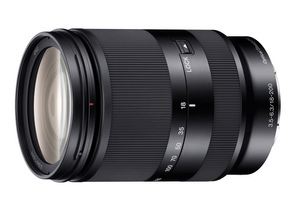 The new SEL18200LE telezoom lens will be available this July in black for about USD$850. This entry was posted in Brand: Sony, Photography Articles & Videos, Uncategorized and tagged Alpha, Lenses, Mirrorless, Sony. Bookmark the permalink.